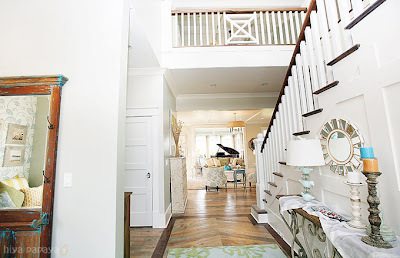 Juneberry Lane: A Dream Home Tour: Part One . . . 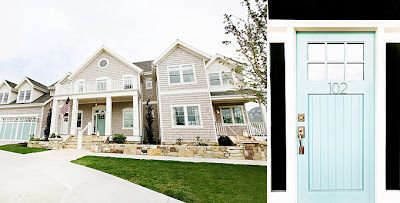 I am so very excited to share this amazing home today...partially because this place is such a labor of love for the owners (they spent years gathering design idea photos in folders - a pleasure I am absolutely guilty of) and they finally made their dreams a reality when they completed this place in Lindon, Utah. 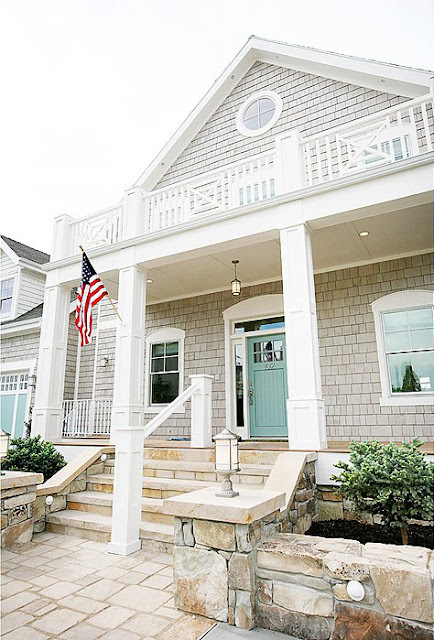 Their inspiration goal was simple: light, beachy, & airy-the perfect blend between something Hawaiian & a home in the Hamptons. 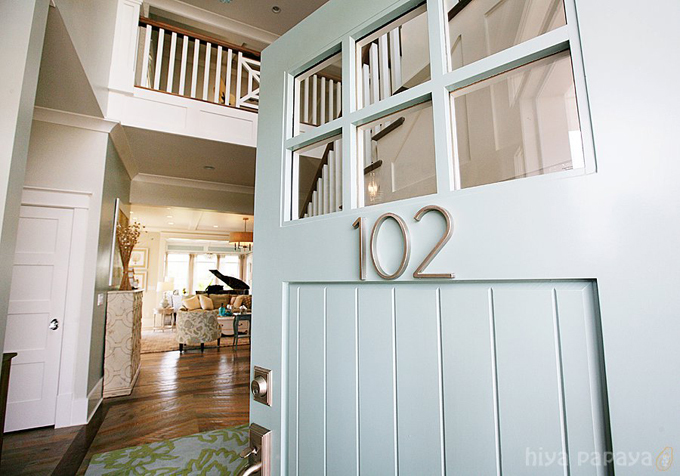 Morgan Hatfield, of Hatfield Homes, brought their architecture vision to life and Lindy Allen, of Four Chairs Furniture, made their folder of photos a stunning reality. 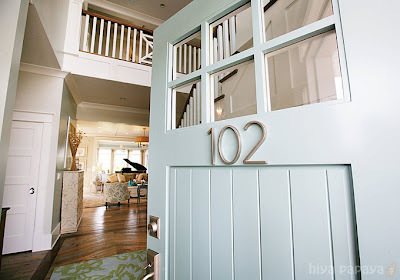 Thanks to House of Turquoise, I bring to you 'A Dream Home: Part One - The Entrance & Foyer' . 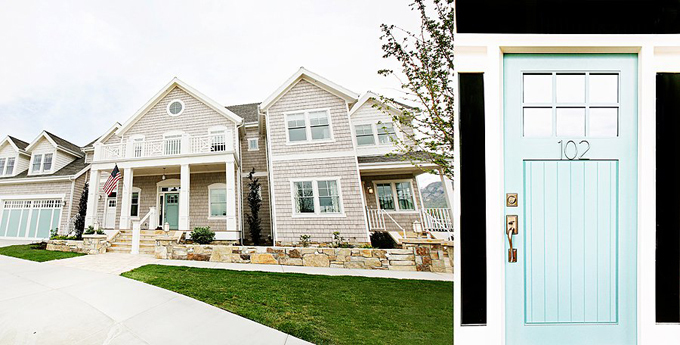 . .
With a front door & garage door like these, you just know this place will be fabulous! 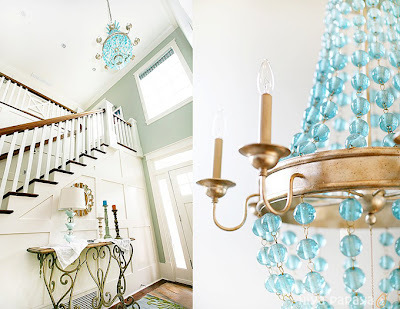 Check out this gorgeous chandelier . 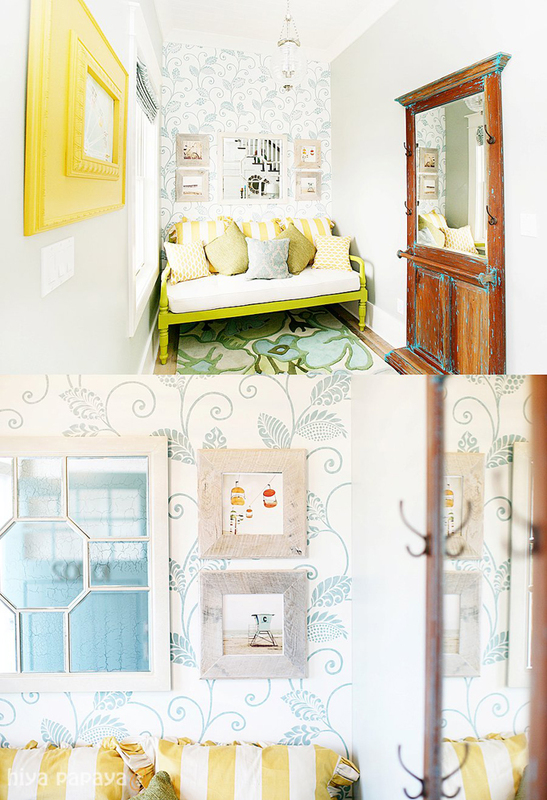 . .
Ah, vintage-inspired wallpaper & a rug to die for . 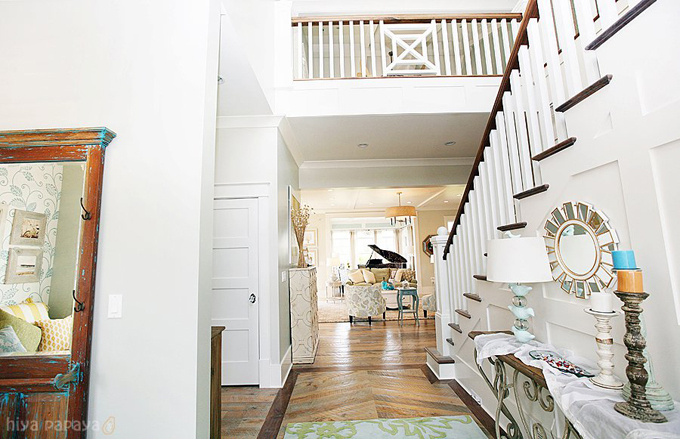 . .
Stay tuned next week for part 2 of 4 of this amazing tour . . .